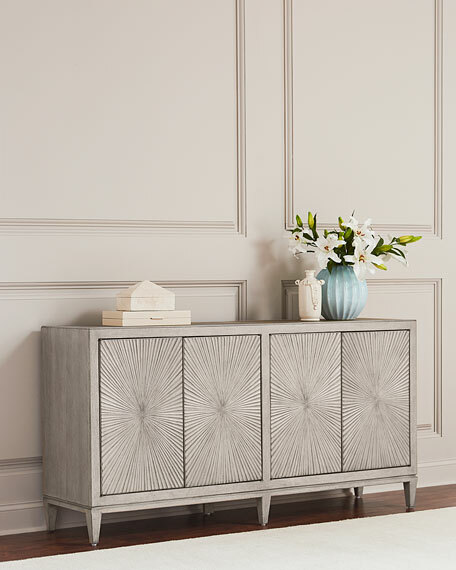 Simple elegance is personified in this lovely four-door buffet. 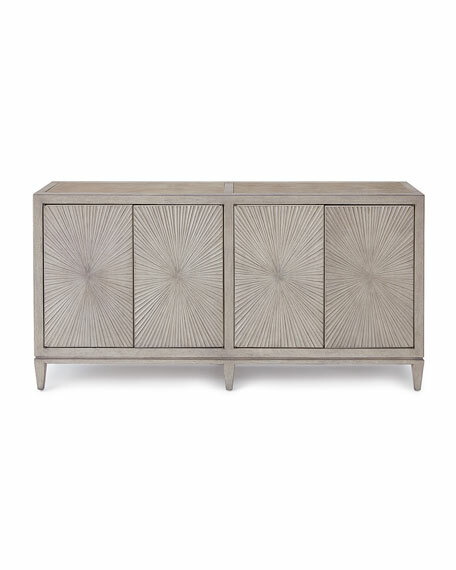 Crafted in subtle gray/beige hues with a textured finish on the top and a dramatic starburst pattern on the door fronts. All resting gracefully on tapered legs. There are two adjustable shelves behind each set of doors. 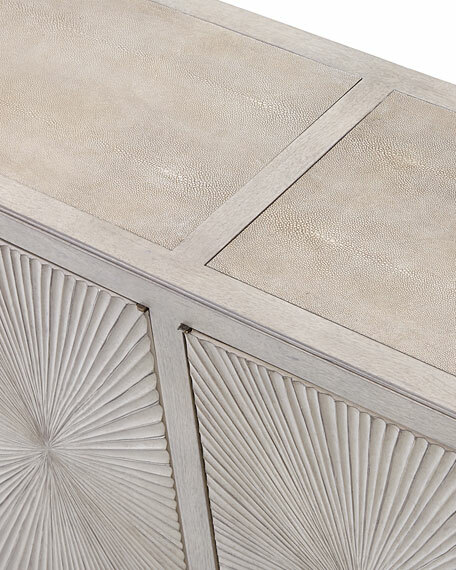 Serene gray/beige finish applied to lightly sand-blasted walnut veneer for an organic and textured look. Champagne silver finish on the metal elements and hardware. Two drawers and two adjustable shelves behind each set of doors. Rubberwood solids with basswood veneers; marble. Light assembly may be required' instructions and hardware included. 71"W x 18"D x 36"T.